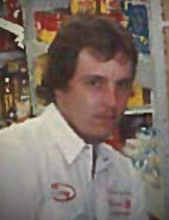 Terry Douglas Collins, age 58, of Premium, Kentucky, passed away Saturday, March 30, 2019 at the Lonesome Pine Hospital in Big Stone Gap, Virginia. Funeral services for Terry Douglas Collins will be held 12 PM Wednesday, April 3, 2019 at the Hotspot Community Church at Premium, Kentucky with Leslie Shepherd officiating. Burial will follow in the Caudill Cemetery at Premium, Kentucky. Visitation will be held at the Hotspot Community Church after 4 PM Tuesday, April 2, 2019. "Email Address" would like to share the life celebration of Terry Douglas Collins. Click on the "link" to go to share a favorite memory or leave a condolence message for the family.